The fickle Dolores River is emblematic of Western water woes, where increasing recreation demands and calls for conservation clash with traditional uses that quench arid towns and farms. That tension has created conflict in the past, as the river veers from tidal to trickle. There’s no other way to see Slickrock Canyon except by boat, and without raft-floating flows, the canyon is essentially closed. 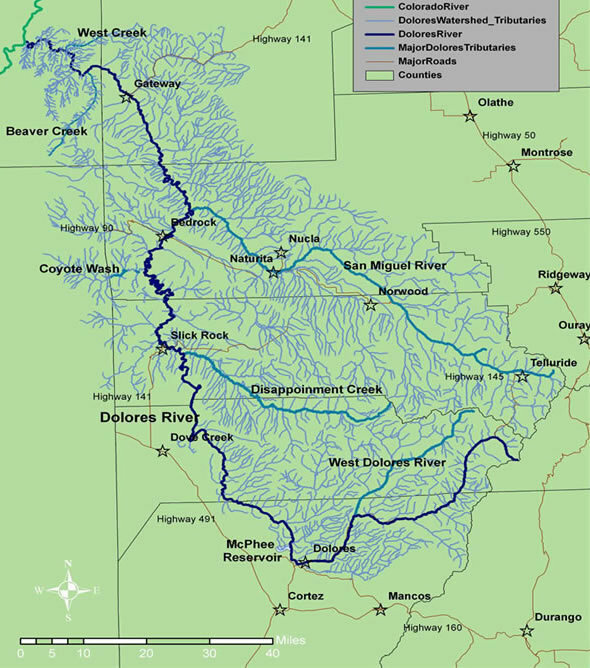 But, recently, the Dolores River water wrangling has yielded collaboration. And this year, after more than a decade of planning, a diverse team of water users — including water managers, farmers, boaters, conservationists, ecologists and land managers — have galvanized to celebrate and study more than 60 days of boatable flows, creating one of the most vibrant seasons in recent memory on the miles of varying Dolores River below McPhee. The Lower Dolores River through Slickrock Canyon — traversing a 30,000-acre Bureau of Land Management wilderness study area — offers geology spanning hundreds of millions of years. Those capricious flows have defined the Lower Dolores since the Bureau of Reclamation finished building the McPhee Dam in 1984. 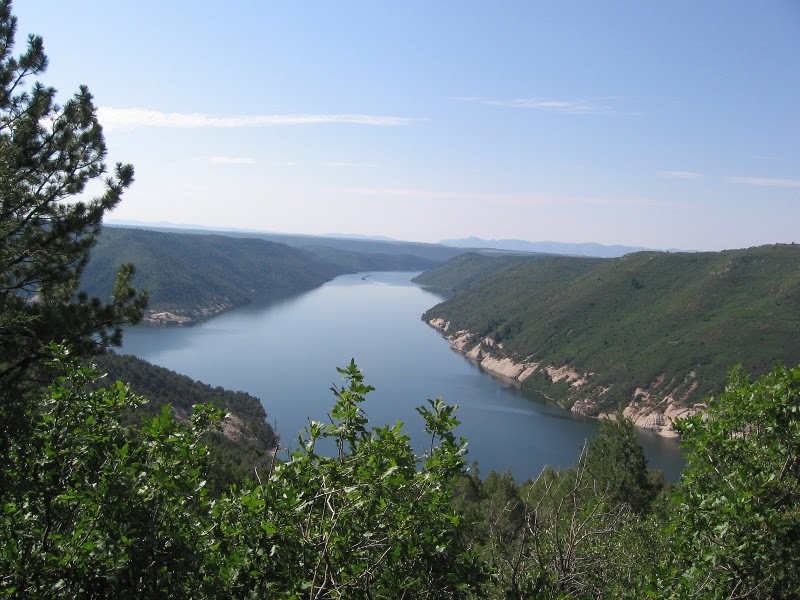 McPhee Reservoir, managed by the Dolores River Water Conservancy District, holds roughly 380,000 acre-feet of water, most of it allocated for agricultural use around the Four Corners region. It took almost a decade of meetings — during, incidentally, a prolonged drought that pretty much eliminated releases of unallocated water from McPhee — to hammer out a plan that bolstered fish habitat and maximized recreational flows for boaters. The Lower Dolores Implementation, Monitoring and Evaluation Plan created a team that helped to manage releases. This year, with a healthy snowpack and good carryover water levels from the previous spring melt, American Whitewater helped negotiate significant releases from McPhee — from the end of March to May 21 and another surprise burst last week. The surges, including a high-flow, three-day pulse of 4,000 cubic feet per second that limited the length of the boating season but helped restore riparian habitat, marked the largest releases since 2008. The flows drew wildlife scientists, conservationists and boaters in droves. While scientists surveyed fish, American Whitewater and the Dolores River Boating Advocates canvassed boaters. Conservationists and recreationists have united on the Dolores, merging their missions in a singular push for more water. The boater survey is trying to quantify the economic impact of boaters rallying in the West End of Montrose County. Paddling advocates want to know whether the flows were announced early enough and whether the timing of the releases offered enough opportunity to float through the wild canyons of the Dolores River. Early reports show crowding was not an issue, but boaters — almost all of them private paddlers — lamented the accessibility of potential campsites: unimproved sandy beaches that haven’t really been used for several years. Most of the river bank through Slickrock is densely armored with virtually impenetrable willows. Upstream, in Ponderosa Gorge, where the lush mountain river transitions to a red-walled desert canyon, impassable alder thickets guard the banks. “American Whitewater negotiated a high-flow release, hoping it would help recover fish and habitat. That meant a shorter season. But we will trade a few days if we can get that water down there to work for a healthier ecology,” says American Whitewater’s Nathan Fey. With McPhee Reservoir pretty much full a month-and-a-half into irrigation season, there’s a good chance that releases will happen again next year, especially if winter snowpack is around normal. Water users, Preston says, are upgrading sprinkler technology, reducing irrigation demand.